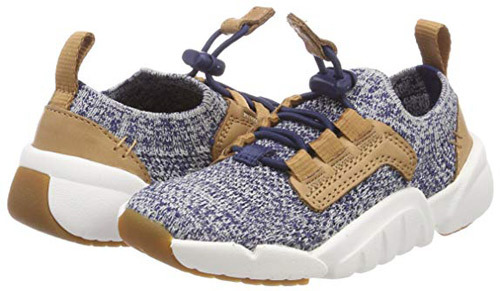 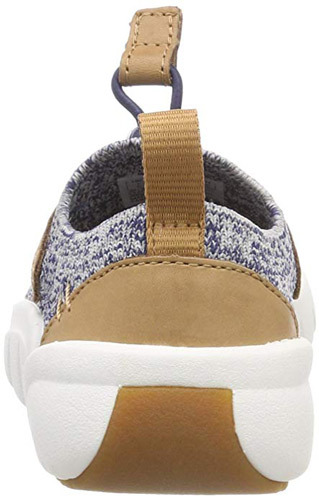 Clarks Tri Jump – slip feet into the Tri Jump kid’s trainers by Clarks, their ultra fashionable one piece blue and white knit uppers featuring tan accents and sporty white soles. 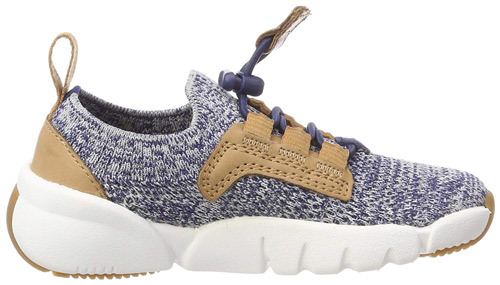 MACHINE WASHABLE, the sporty style features bungee laces with adjustable toggle fastenings – perfect for easy, every day use. 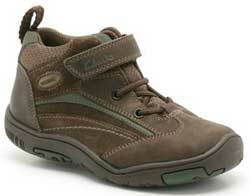 Rubber pods on their soles promote great traction and Agion is infused into their linings to freshen feet. 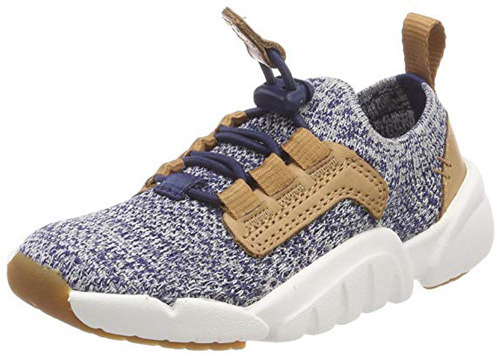 Clarks Tri Jump – slip feet into the Tri Jump kid’s trainers by Clarks, their ultra fashionable one piece blue and white knit uppers featuring tan accents and sporty white soles. 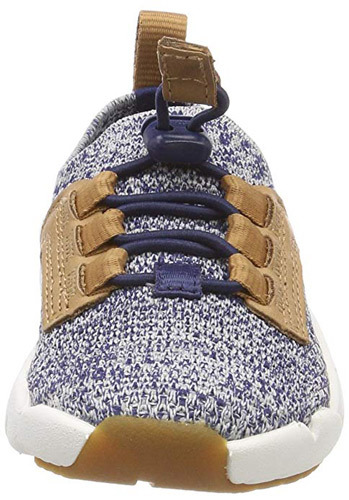 Machine washable, the sporty style features bungee laces with adjustable toggle fastenings- perfect for easy, every day use. 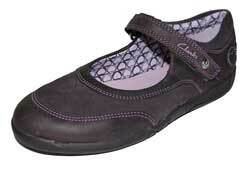 Rubber pods on their soles promote great traction and Agion is infused into their linings to freshen feet.